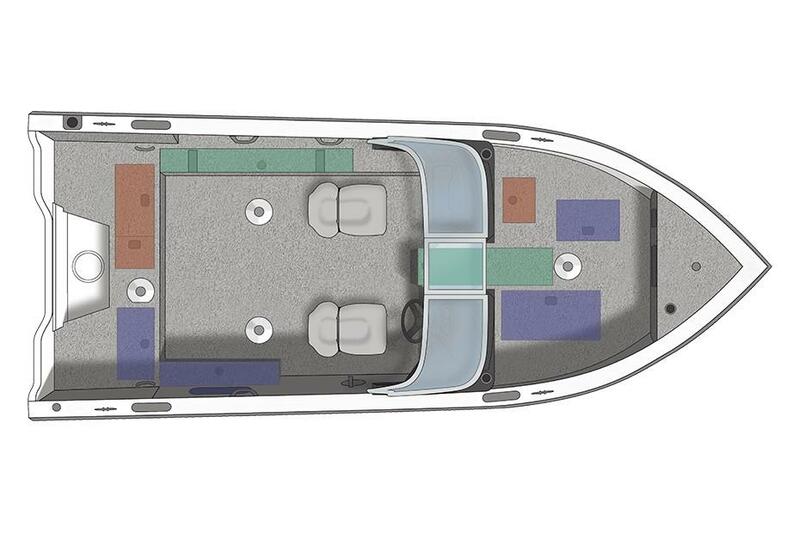 The Crestliner 1950 Fish Hawk has the same name as our previous model, but that’s just about where the similarities end. We’ve redesigned the gunnel and added options like stern jump seats that add passenger comfort and fold down to become part of the casting deck when not in use. 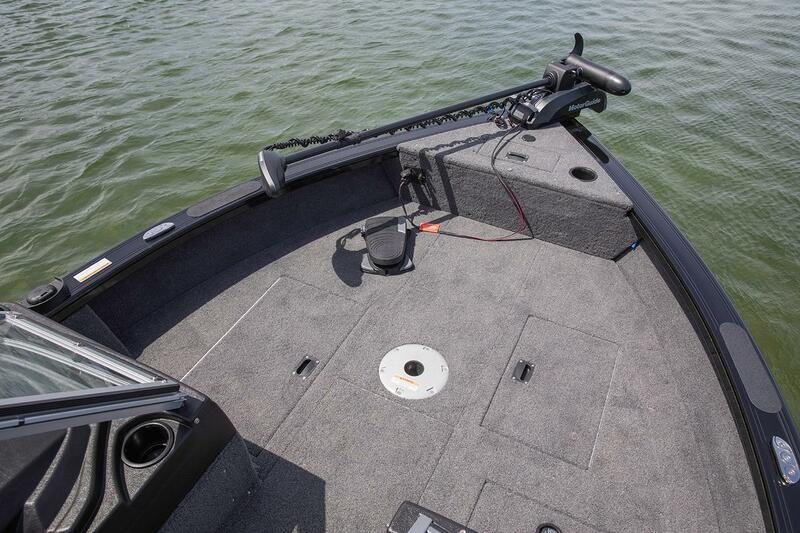 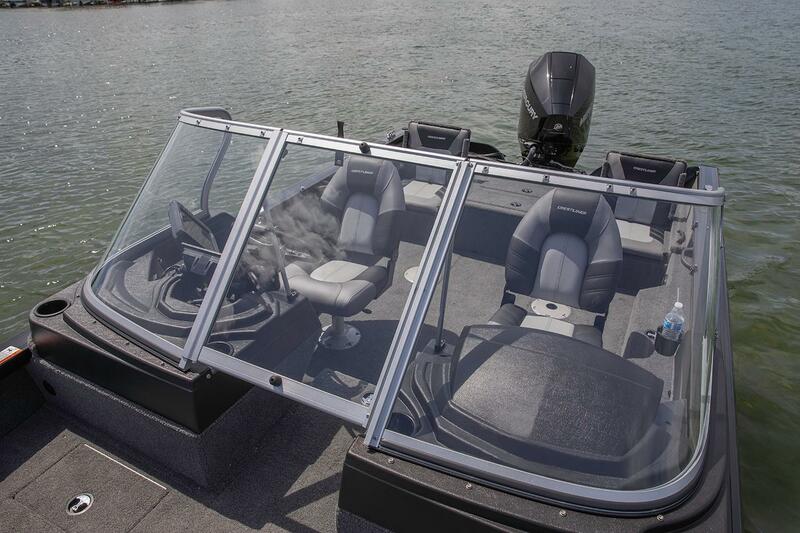 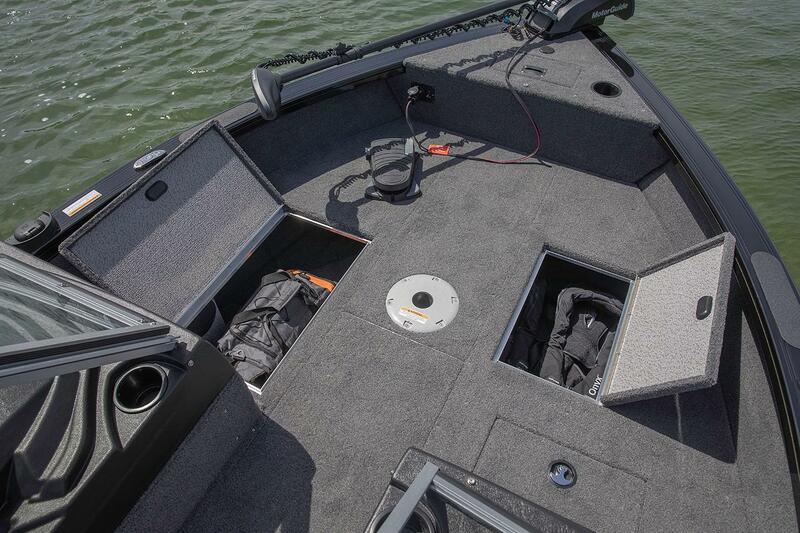 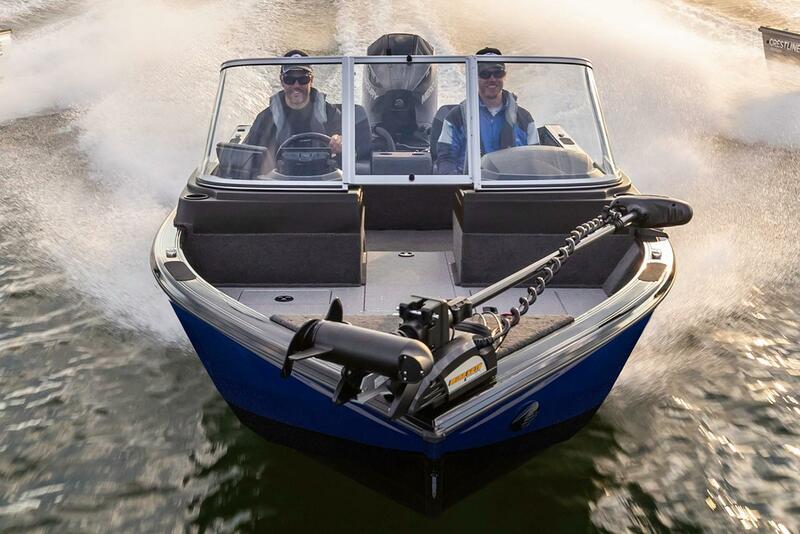 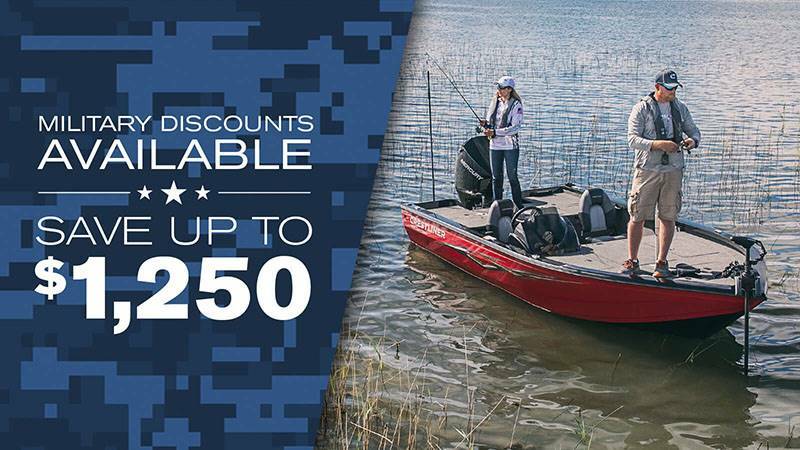 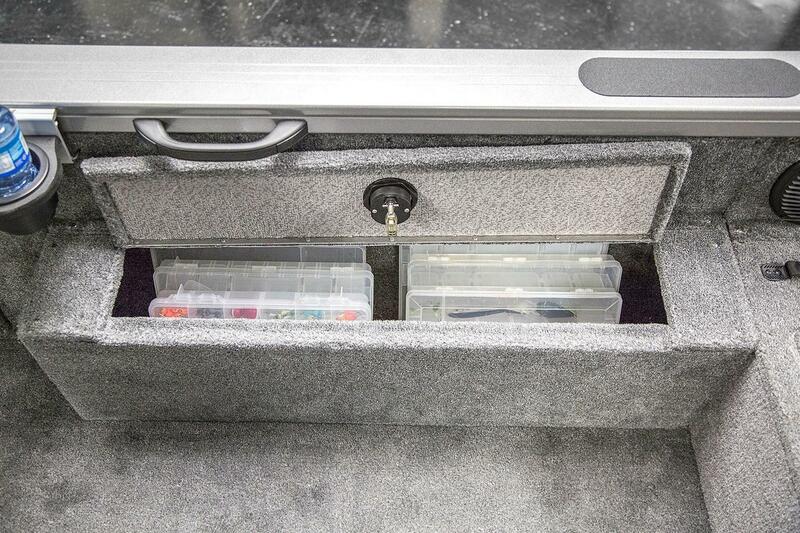 The Fish Hawk boats also come with more rod storage in the lockable center rod compartment that can hold up to ten rods as well as an optional trolling motor battery and charger. 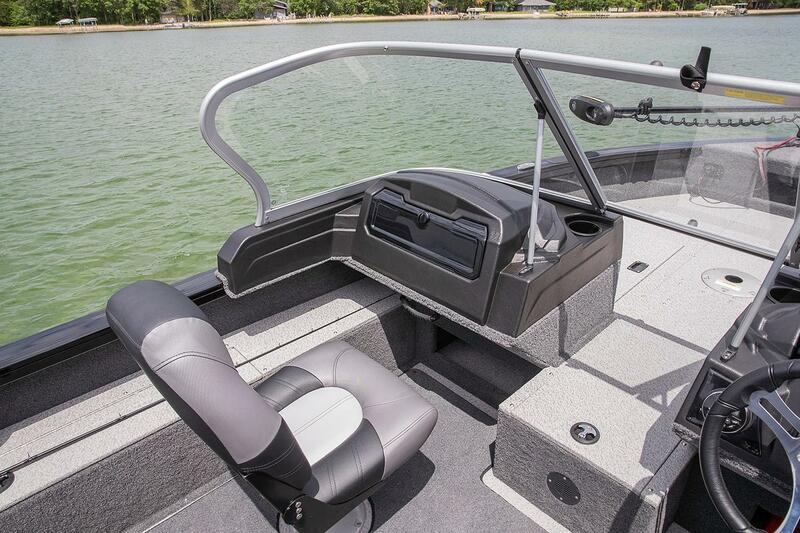 All of these features are protected by the same low-maintenance, all-welded aluminum hull that defines Crestliner strength and durability. 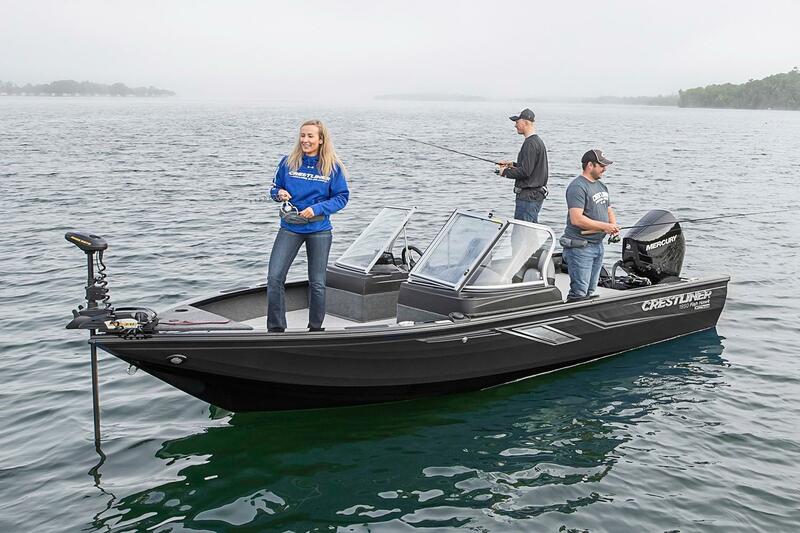 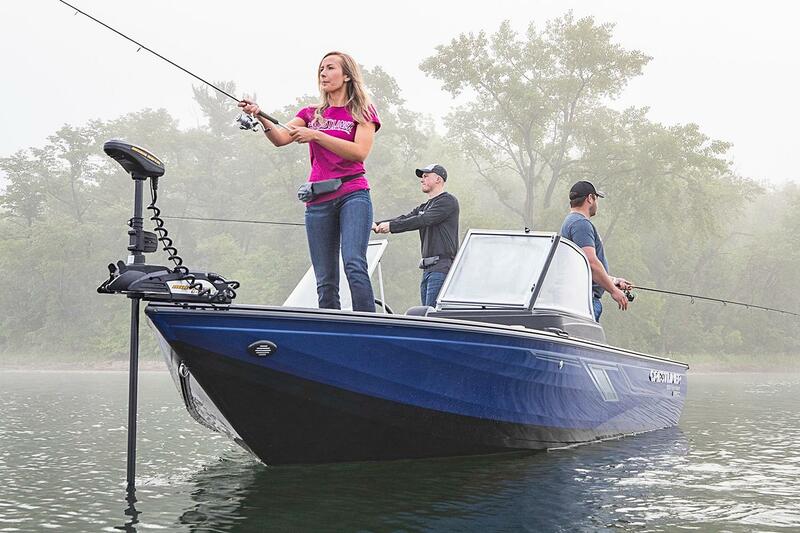 The new 1950 Fish Hawk is a V hull aluminum boat designed to fish as hard as you want to, day in and day out. 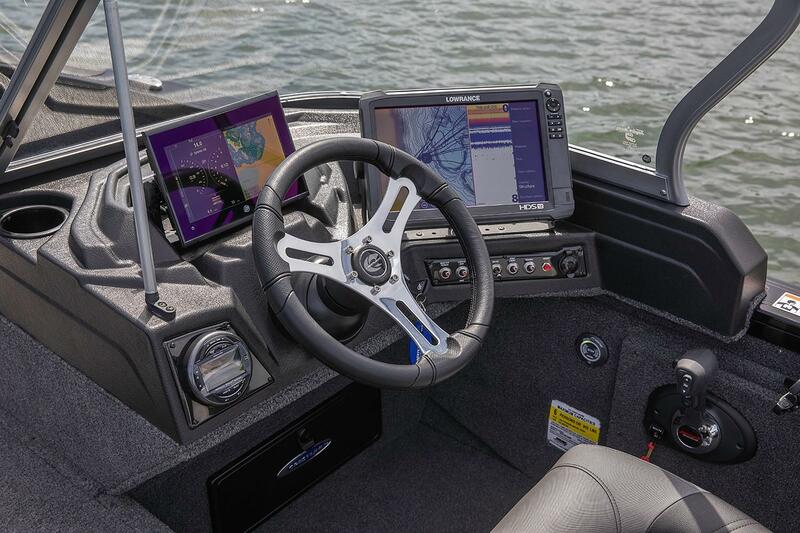 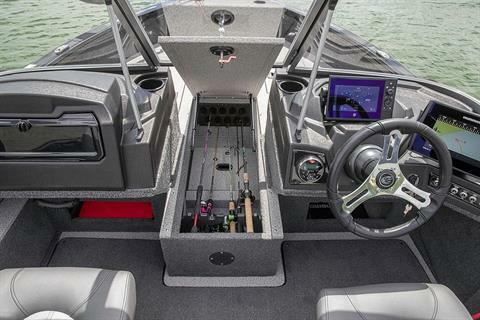 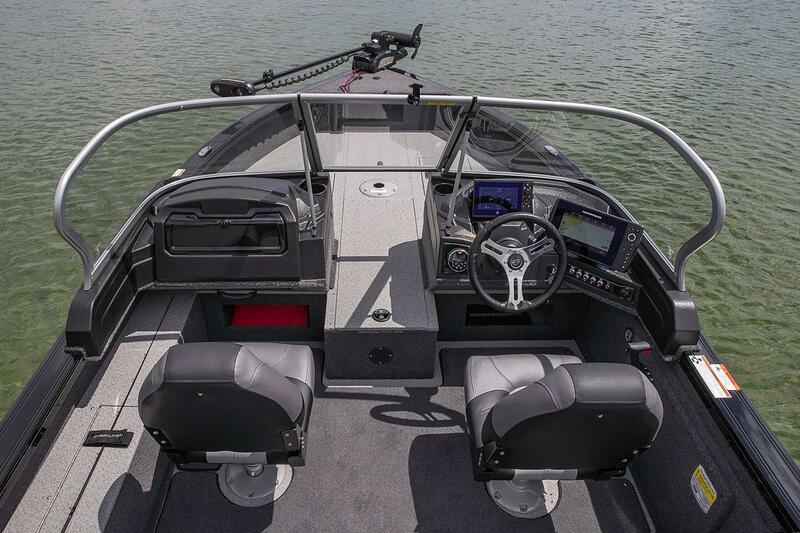 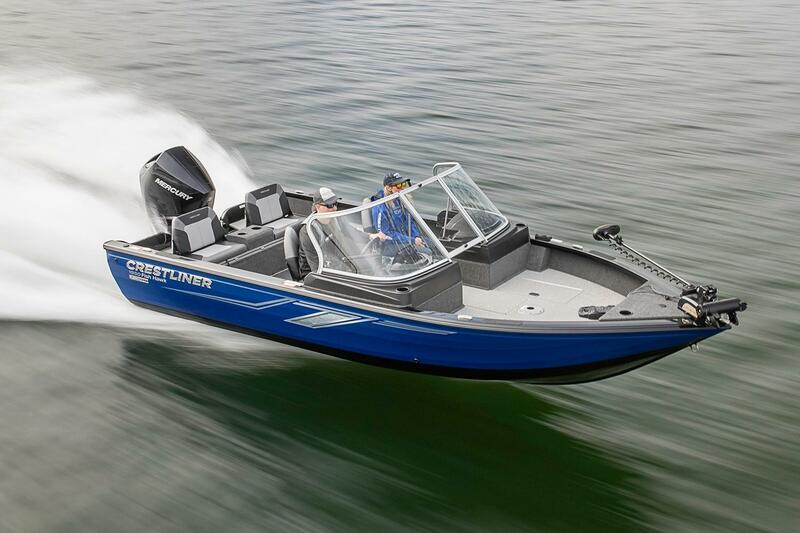 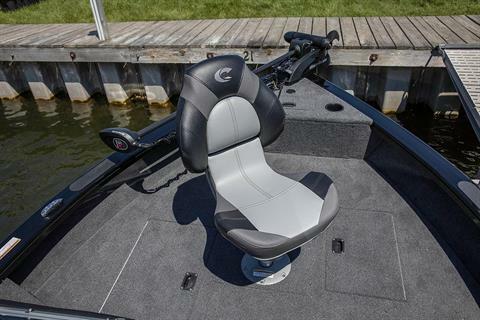 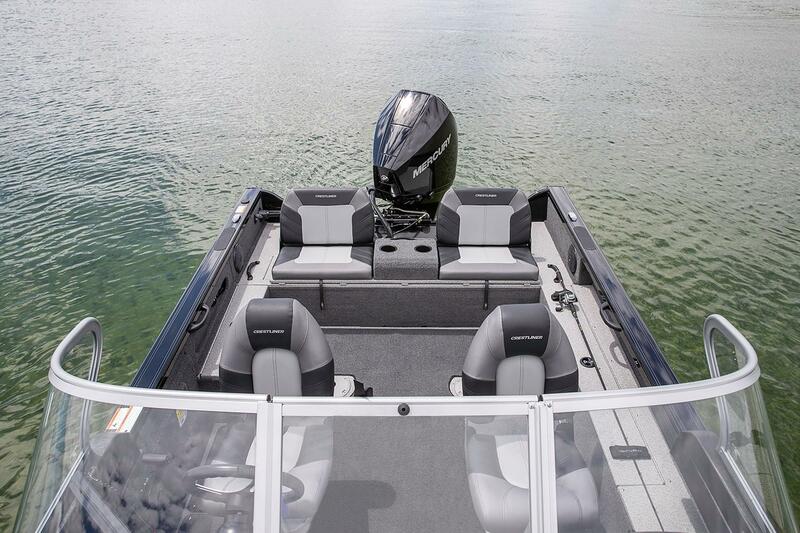 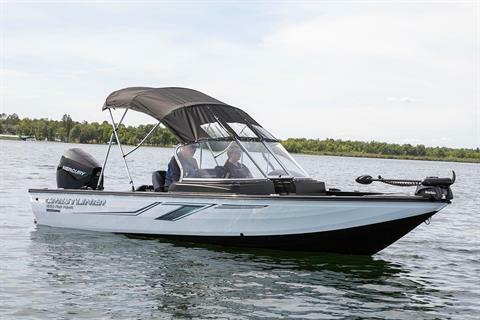 When you take it on the water, you’ll immediately notice the redesigned console that has room for 12” electronics and features illuminated toggle switches, drink holders and a 12V power outlet. 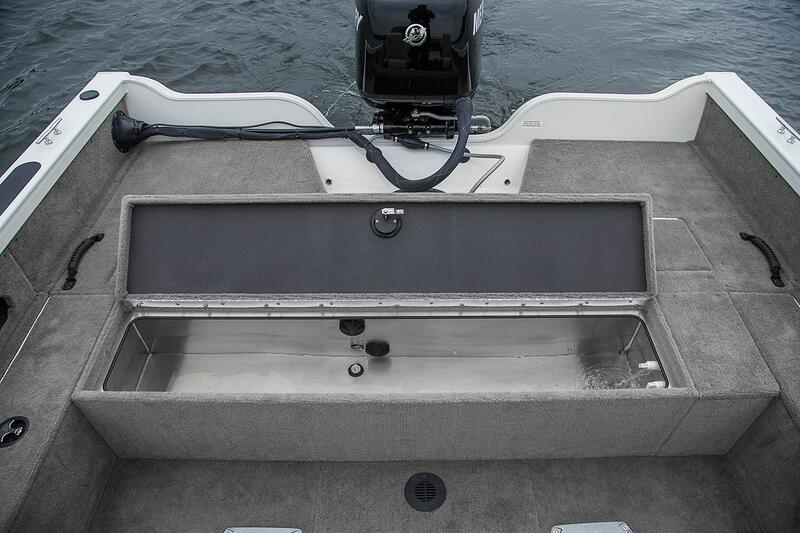 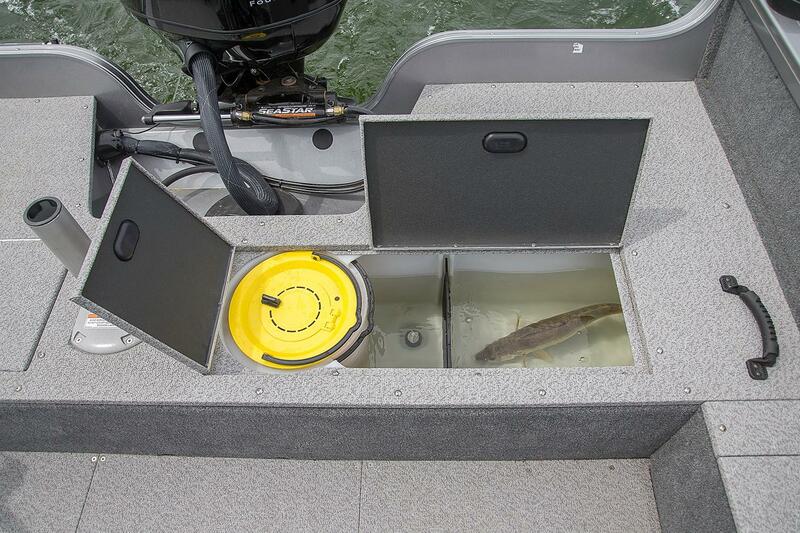 On the stern there is a 17-gallon aerated livewell that includes a timer, divider, bait bucket and separate lids for the baitwell and livewell. And Crestliner now offers new, limited time paint options. So, you’ve got everything you need wrapped up in a durable, stylish package that is uniquely your own.